Sofacy, also known as APT28, Fancy Bear, and Tsar Team, is a highly active and prolific APT. From their high volume 0day deployment to their innovative and broad malware set, Sofacy is one of the top groups that we monitor, report, and protect against. 2017 was not any different in this regard. Our private reports subscription customers receive a steady stream of YARA, IOC, and reports on Sofacy, our most reported APT for the year. This high level of cyber-espionage activity goes back years. In 2011-2012, the group used a relatively tiny implant (known as “Sofacy” or SOURFACE) as their first stage malware, which at the time had similarities with the old Miniduke implants. This made us believe the two groups were connected, although it looks they split ways at a certain point, with the original Miniduke group switching to the CosmicDuke implant in 2014. The division in malware was consistent and definitive at that point. In 2013, the Sofacy group expanded their arsenal and added more backdoors and tools, including CORESHELL, SPLM (aka Xagent, aka CHOPSTICK), JHUHUGIT (which is built with code from the Carberp sources), AZZY (aka ADVSTORESHELL, NETUI, EVILTOSS, and spans across 4-5 generations) and a few others. We’ve seen quite a few versions of these implants, which were relatively widespread at some point or still are. In 2015 we noticed another wave of attacks which took advantage of a new release of the AZZY implant, largely undetected by antivirus products. The new wave of attacks included a new generation of USB stealers deployed by Sofacy, with initial versions dating to February 2015. It appeared to be geared exclusively towards high profile targets. Sofacy’s reported presence in the DNC network alongside APT29 brought possibly the highest level of public attention to the group’s activities in 2016, especially when data from the compromise was leaked and “weaponized”. And later 2016, their focus turned towards the Olympics’ and the World Anti-Doping Agency (WADA) and Court of Arbitration for Sports (CAS), when individuals and servers in these organizations were phished and compromised. In a similar vein with past CyberBerkut activity, attackers hid behind anonymous activist groups like “anonpoland”, and data from victimized organizations were similarly leaked and “weaponized”. This write-up will survey notables in the past year of 2017 Sofacy activity, including their targeting, technology, and notes on their infrastructure. No one research group has 100% global visibility, and our collected data is presented accordingly. Here, external APT28 reports on 2017 Darkhotel-style activity in Europe and Dealer’s Choice spearphishing are of interest. From where we sit, 2017 Sofacy activity starts with a heavy focus on NATO and Ukrainian partners, coinciding with lighter interest in Central Asian targets, and finishing the second half of the year with a heavy focus on Central Asian targets and some shift further East. The beginning of 2017 began with a slow cleanup following the Dealer’s Choice campaign, with technical characteristics documented by our colleagues at Palo Alto in several stages at the end of 2016. The group spearphished targets in several waves with Flash exploits leading to their carberp based JHUHUGIT downloaders and further stages of malware. It seems that many folks did not log in and pull down their emails until Jan 2017 to retrieve the Dealer’s Choice spearphish. Throughout these waves, we observed that the targets provided connection, even tangential, to Ukraine and NATO military and diplomatic interests. The global reach that coincided with this focus on NATO and the Ukraine couldn’t be overstated. Our KSN data showed spearphishing targets geolocated across the globe into 2017. Sofacy kicked off the year deploying two 0day in a spearphish document, both a Microsoft Office encapsulated postscript type confusion exploit (abusing CVE-2017-0262) and an escalation of privilege use-after-free exploit (abusing CVE-2017-0263). The group attempted to deploy this spearphish attachment to push a small 30kb backdoor known as GAMEFISH to targets in Europe at the beginning of 2017. They took advantage of the Syrian military conflict for thematic content and file naming “Trump’s_Attack_on_Syria_English.docx”. Again, this deployment was likely a part of their focus on NATO targets. Meanwhile in early-to-mid 2017, SPLM/CHOPSTICK/XAgent detections in Central Asia provided a glimpse into ongoing focus on ex-Soviet republics in Central Asia. These particular detections are interesting because they indicate an attempted selective 2nd stage deployment of a backdoor maintaining filestealer, keylogger, and remoteshell functionality to a system of interest. As the latest revision of the backdoor, portions of SPLM didn’t match previous reports on SPLM/XAgent while other similarities were maintained. SPLM 64-bit modules already appeared to be at version 4 of the software by May of the year. Targeting profiles included defense related commercial and military organizations, and telecommunications. Since mid-November 2015, the threat actor referred to as “Sofacy” or “APT28” has been utilizing a unique payload and delivery mechanism written in Delphi and AutoIT. We collectively refer to this package and related activity as “Zebrocy” and had written a few reports on its usage and development by June 2017 – Sofacy developers modified and redeployed incremented versions of the malware. The Zebrocy chain follows a pattern: spearphish attachment -> compiled Autoit script (downloader) -> Zebrocy payload. In some deployments, we observed Sofacy actively developing and deploying a new package to a much smaller, specific subset of targets within the broader set. At execution, it installs an application-defined Windows hook. The hook gets windows messages indicating when a network drive has been attached. Upon adding a network drive, the hook calls its “RecordToFile” file stealer method. SPLM/CHOPSTICK components deployed throughout 2017 were native 64-bit modular C++ Windows COM backdoors supporting http over fully encrypted TLSv1 and TLSv1.2 communications, mostly deployed in the second half of 2017 by Sofacy. Earlier SPLM activity deployed 32-bit modules over unencrypted http (and sometimes smtp) sessions. In 2016 we saw fully functional, very large SPLM/X-Agent modules supporting OS X. The executable module continues to be part of a framework supporting various internal and external components communicating over internal and external channels, maintaining slightly morphed encryption and functionality per deployment. Sofacy selectively used SPLM/CHOPSTICK modules as second stage implants to high interest targets for years now. In a change from previous compilations, the module was structured and used to inject remote shell, keylogger, and filesystem add-ons into processes running on victim systems and maintaining functionality that was originally present within the main module. The newer SPLM modules are deployed mostly to Central Asian based targets that may have a tie to NATO in some form. These targets include foreign affairs government organizations both localized and abroad, and defense organizations’ presence localized, located in Europe and also located in Afghanistan. One outlier SPLM target profile within our visibility includes an audit and consulting firm in Bosnia and Herzegovina. Minor changes and updates to the code were released with these deployments, including a new mutex format and the exclusive use of encrypted HTTP communications over TLS. The compiled code itself already is altered per deployment in multiple subtle ways, in order to stymie identification and automated analysis and accommodate targeted environments. Strings (c2 domains and functionality, error messages, etc) are custom encrypted per deployment. This subset of SPLM/CHOPSTICK activity leads into several small surprises that take us into 2018, to be discussed in further detail at SAS 2018. The group demonstrates malleability and innovation in maintaining and producing familiar SPLM functionality, but the pragmatic and systematic approach towards producing undetected or difficult-to-detect malware continues. Changes in the second stage SPLM backdoor are refined, making the code reliably modular. Sofacy set up and maintained multiple servers and c2 for varying durations, registering fairly recognizable domains with privacy services, registrars that accept bitcoin, fake phone numbers, phony individual names, and 1 to 1 email address to domain registration relationships. Some of this activity and patterns were publicly disclosed, so we expect to see more change in their process in 2018. Also, throughout the year and in previous years, researchers began to comment publicly on Sofacy’s fairly consistent infrastructure setup. As always, attackers make mistakes and give away hints about what providers and registrars they prefer. It’s interesting to note that this version of SPLM implements communications that are fully encrypted over HTTPS. As an example, we might see extraneous data in their SSL/TLS certificates that give away information about their provider or resources. Leading up to summer 2017, infrastructure mostly was created with PDR and Internet Domain Service BS Corp, and their resellers. Hosting mostly was provided at Fast Serv Inc and resellers, in all likelihood related to bitcoin payment processing. Accordingly, the server side certificates appear to be generated locally on VPS hosts that exclusively are paid for at providers with bitcoin merchant processing. One certificate was generated locally on what appeared to be a HP-UX box, and another was generated on “8569985.securefastserver[. ]com” with an email address “root@8569985.securefastserver[. ]com”, as seen here for their nethostnet[. ]com domain. This certificate configuration is ignored by the malware. In addition to other ip data, this data point suggested that Qhoster at https://www.qhoster[. ]com was a VPS hosting reseller of choice at the time. It should be noted that the reseller accepted Alfa Click, PayPal, Payza, Neteller, Skrill, WebMoney, Perfect Money, Bitcoin, Litecoin, SolidTrust Pay, CashU, Ukash, OKPAY, EgoPay, paysafecard, Alipay, MG, Western Union, SOFORT Banking, QIWI, Bank transfer for payment. Sofacy, one of the most active APT we monitor, continues to spearphish their way into targets, reportedly widely phishes for credentials, and infrequently participates in server side activity (including host compromise with BeEF deployment, for example). KSN visibility and detections suggests a shift from their early 2017 high volume NATO spearphish targeting towards the middle east and Central Asia, and finally moving their focus further east into late 2017. Their operational security is good. Their campaigns appear to have broken out into subsets of activity and malware involving GAMEFISH, Zebrocy, and SPLM, to name a few. Their evolving and modified SPLM/CHOPSTICK/XAgent code is a long-standing part of Sofacy activity, however much of it is changing. We’ll cover more recent 2018 change in their targeting and the malware itself at SAS 2018. With a group like Sofacy, once their attention is detected on a network, it is important to review logins and unusual administrator access on systems, thoroughly scan and sandbox incoming attachments, and maintain two factor authentication for services like email and vpn access. In order to identify their presence, not only can you gain valuable insight into their targeting from intelligence reports and gain powerful means of detections with hunting tools like YARA, but out-of-band processing with a solution like KATA is important. Researchers with Cisco Talos have monitored a bitcoin phishing campaign conducted by a criminal gang tracked as Coinhoarder that made an estimated $50 million by exploiting Google AdWords. Researchers with Cisco Talos have monitored a bitcoin phishing campaign for several months with the help of the Ukraine Cyberpolice. The gang, tracked as Coinhoarder, has made an estimated $50 million by exploiting Google AdWords to trick netizens into visiting Bitcoin phishing sites. This is the element that characterized this phishing campaign, Coinhoarder attackers used geo-targeting filters for their ads, the researchers noticed that hackers were targeting mostly Bitcoin owners in Africa. The Ukrainian authorities located and shut down the servers hosting some of the phishing websites used by crooks. The phishing sites were hosted on the servers of a bulletproof hosting provider located in Ukraine, Highload Systems. The operation was temporarily disrupted but the police haven’t arrested any individual. The Coinhoarder group used Google Adwords for black SEO purposes, on February 24, 2017, researchers at Cisco observed a massive phishing campaign hosted in Ukraine targeting the popular Bitcoin wallet site blockchain.info with over 200,000 client queries. Crooks used Google Adwords to poison user search results in order to steal users’ wallets. Unfortunately, this attack scheme is becoming quite common in the criminal ecosystem, hackers implement it to target many different crypto wallets and exchanges via malicious ads. The COINHOARDER gang leveraged the typosquatting technique, the hackers used domains imitating the Blockchain.info Bitcoin wallet service in conjunction SSL signed phishing sites in order to appear as legitimate. Based on the number of queries, the researchers confirmed that this is one of the biggest campaigns targeting Blockchain.info to date. “The COINHOARDER group has made heavy use of typosquatting and brand spoofing in conjunction SSL signed phishing sites in order to appear convincing. We have also observed the threat actors using internationalized domain names.” continues the analysis. “These domains are used in what are called homograph attacks, where an international letter or symbol looks very similar to one in English. Here are some examples from this campaign. Talos researchers revealed that one campaign that was conducted between September and December 2017, the group made around $10 million. “While working with Ukraine law enforcement, we were able to identify the attackers’ Bitcoin wallet addresses and thus, we could track their activity for the period of time between September 2017 to December 2017. In this period alone, we quantified around $10M was stolen.In one specific run, they made $2M within 3.5 week period. ” states Cisco Talos. Further technical details on the campaign, including Indicators of Compromise are included in the analysis published by Cisco Talos. There has been a significant increase in the number of phishing and malware attacks abusing SSL and TLS technology, according to Zscaler’s SSL Threat Report for the second half of 2017. In the first half of 2017, Zscaler’s products blocked roughly 600,000 threats hidden in encrypted traffic every day, but that number grew to 800,000 in the second half of the year, which represents an increase of 30 percent. Malicious actors have used SSL-encrypted channels for the initial delivery of malvertising, phishing and compromised websites, to distribute malware payloads and exploits, and for communications between the infected host and command and control (C&C) servers. In the case of phishing attempts, Zscaler saw a 400 percent increase in the first half of 2017 compared to 2016. Overall, in 2017, phishing activity jumped by nearly 300 percent. Phishing pages served over HTTPS are either hosted on a compromised website that has an SSL certificate, or they are hosted on malicious sites that imitate well-known brands and rely on certificates obtained by the cybercriminals themselves. Services such as Let’s Encrypt make it easier for malicious actors to obtain free certificates that they can use in their operations. In the case of malware attacks, Zscaler said SSL/TLS channels were used 60 percent of the time to deliver banking Trojans throughout 2017, and ransomware was spotted in one-quarter of attempts. Many attackers obtained an encrypted distribution channel for their malware by hosting it on legitimate services such as Box, Dropbox, Google and AWS. An analysis of roughly 6,700 SSL transactions blocked by Zscaler showed that a majority of abused certificates belonged to legitimate sites that had been compromised. 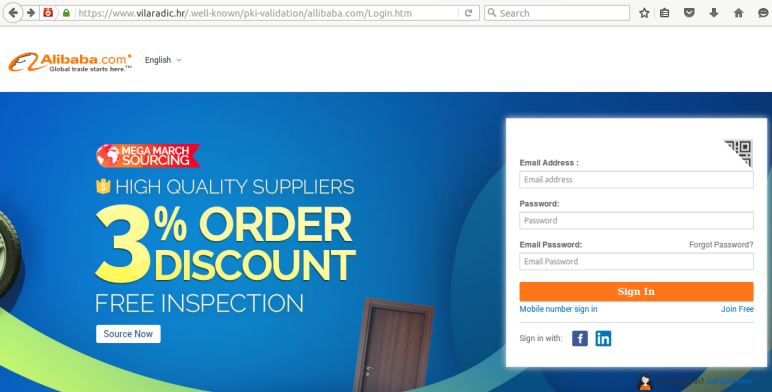 The security firm also found that the types of certificates that are most abused by cybercriminals are domain validated (DV) certificates, which have a validity of three months and are obtained more easily. DV certificates, particularly ones obtained for free, were spotted in 75 percent of cases. More than half of certificates were valid for less than one year, and roughly one-third of those had a validity period of three months or less. Participants to the Bee Token ICO were robbed for 100s of ETH, scammers sent out a phishing email stating that the ICO was now open, followed by an Ethereum address they controlled. Another day, another incident involving cryptocurrencies, hundreds of users fell victims to email scams in the last days. The victims were tricked by scammers into sending more than $1 million worth of Ethereum to them as part of Bee Token ICO (Initial Coin Offering). Bee Token is a blockchain-based home sharing service, it launched the ICO on January 31 and ended on February 2, when the Bee team obtained the $5 million necessary to start their project. During the period of the ICO, the crooks sent phishing emails posing as the Bee Token ICO. The scammers, impersonating the Bee team, sent out emails with a character of urgency to the potential investors inviting them to buy Bee Tokens by transferring Ethereum coins to their wallets. The scammers attempted to convince users to participate to the ICO by sending Ethereum spreading the news that the company started a partnership with Microsoft and would be giving participants a 100% bonus for all contributions in the next 6 hours. Cybercriminals also guaranteed that the value of Bee Token would double within 2 months, or participants would receive their RTH back. “Today, investors who were eagerly waiting for their opportunity to join the Bee Token ICO were robbed for 100s of ETH. Scammers managed to get their hands on the Bee Token mailing list and sent out a phishing email stating that the ICO was now open, followed by an Ethereum address to send their contributions to.” states the blog post published TheRippleCryptocurrency. “The Bee Token team has been made aware of phishing sites that have copied the Bee Token website in an attempt to deceive users into sending them their money. Please DO NOT trust any website other than https://www.beetoken.com/ . REPEAT: DO NOT trust any website other than https://www.beetoken.com/” reads one of the Bee Token Security Notice. The Bee Token team also created a Google scam reporting form to allow users to report scams. The overall amount of money contained in the three wallets at the end of the ICO was over $1 million. Unfortunately such kind of incident is not uncommon, for this reason, Facebook banned ads for ICOs and cryptocurrencies on its social network. UK-based cybercrime disruption services provider Netcraft has spotted thousands of phishing pages placed by cybercriminals in special directories that are present on millions of websites. In the past month, the company spotted more than 400 new phishing websites hosted in a folder named /.well-known/. This directory serves as a Uniform Resource Identifier (URI) path prefix that allows users and automated processes to obtain policy and other information about the host. The /.well-known/ directory is commonly used to demonstrate ownership of a domain. The administrators of HTTPS-protected websites that use Automatic Certificate Management Environment (ACME) to manage SSL certificates place a unique token inside the /.well-known/acme-challenge/ or /.well-known/pki-validation/ folders to show the certificate issuer that they control the domain. “Consequently, most of the phishing attacks that make use of the /.well-known/ directory have been deployed on sites that support HTTPS, using certificates issued by ACME-driven certificate authorities like Let's Encrypt and cPanel,” Netcraft’s Paul Mutton explained. The /.well-known/ location can be a great place to hide a phishing page due to the fact that while the folder is present on millions of websites – mainly due to the success of ACME and Let’s Encrypt – many administrators are not aware of its presence. Mutton noted that since there is a dot in front of the directory’s name, listing files using the ls command will not display it as files and folders that start with “.” are hidden. In an effort to make their phishing pages even more difficult to find, cybercriminals have placed them in subdirectories of /acme-challenge/ and /pki-validation/. The expert pointed out that while /acme-challenge/ and /pki-validation/ are not the only well-known URIs, these are the only ones that have been used to host phishing sites. Netcraft said it was not clear how malicious actors had hijacked the websites found to be hosting these phishing pages. The employees of insurance companies and non-profit organizations are most likely to fall for phishing attacks, according to a study conducted by security awareness training firm KnowBe4. KnowBe4’s study is based on data collected from six million users across 11,000 organizations. The company has tested users at three stages: before any awareness training, after 90 days of initial training and simulated phishing, and after one year of training. The average phish-prone percentage, represented by the percentage of employees that clicked on a link or opened an attachment during testing, was 27% across all industries and organizations of all sizes. 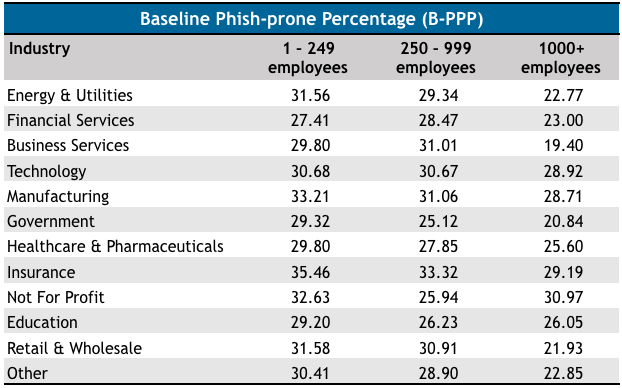 In the case of small and mid-size organizations (under 1,000 employees), insurance companies have the highest percentage of phish-prone employees, specifically 35% and 33%. In the case of large organizations, nonprofits are at the top of the list with roughly 31% of employees taking the bait during the baseline phishing tests conducted by KnowBe4. The lowest phish-prone percentage was recorded in large business services organizations, where only 19% of employees took the bait. Unsurprisingly, 90 days after undergoing initial training and simulated phishing, the percentage of employees that fell for phishing attacks dropped significantly across all sectors and organizations of all sizes. For example, in the case of the insurance industry, the phish-prone percentage dropped to 13% in small and large organizations, and 16% in mid-size companies. In the case of nonprofits, it dropped to 16-17%. After one year of training, the phish-prone percentage dropped to 1-2% in most cases. The highest percentage of employees that still fell for phishing attacks, roughly 5%, was in large organizations in the energy and utilities, financial services, insurance, and education sectors. “The new research uncovered some surprising and troubling results. However, it also demonstrates the power of deploying new-school security awareness training by lowering a 27 percent Phish-prone result to just over two percent,” said Stu Sjouwerman, CEO of KnowBe4. Hackers are already targeting the Pyeongchang Olympic Games with spear phishing attacks aimed at stealing sensitive or financial information. Security researchers from McAfee reported hackers are already targeting Pyeongchang Olympic Games, many organizations associated with the event had received spear phishing messages. Most of the targeted organizations is involved with the Olympics either in providing infrastructure or in a supporting role. “Attached in an email was a malicious Microsoft Word document with the original file name 농식품부, 평창 동계올림픽 대비 축산악취 방지대책 관련기관 회의 개최.doc (“Organized by Ministry of Agriculture and Forestry and Pyeongchang Winter Olympics”).” reported McAfee. The campaigns have begun on December 22, attackers used spoofed messages that pretend to come from South Korea’s National Counter-Terrorism Center. The hackers spoofed the message to appear to be from info@nctc.go.kr, which is the National Counter-Terrorism Center (NCTC) in South Korea, the analysis revealed the email was sent from an address in Singapore and referred alleged antiterror drills in the region in preparation for the Olympic Games. Initially, the malware was embedded into the malicious document as a hypertext application (HTA) file, then threat actors started hiding the malicious code in an image on a remote server and used obfuscated Visual Basic macros to launch the decoder script. Researchers also noted that attackers wrote a custom PowerShell code to decode the hidden image and launch the malware. The experts expect more hacking campaigns targeting entities involved in sporting events like Pyeongchang Olympic Games. “With the upcoming Olympics, we expect to see an increase in cyberattacks using Olympics-related themes,” the McAfee report concluded. A study conducted by Google over a one-year period showed that online accounts are most likely to become compromised as a result of phishing attacks. Between March 2016 and March 2017, Google researchers identified 12.4 million potential victims of phishing, roughly 788,000 potential victims of keylogger malware, and over 1.9 billion users whose accounts had been exposed due to data breaches. The fact that third-party data breaches expose significant amounts of information is not surprising. Several companies admitted that hackers had stolen the details of millions of users from their systems and Yahoo alone exposed over one billion accounts in the past years. However, Google’s analysis showed that only less than 7 percent of the passwords exposed in third-party data breaches were valid due to password reuse. Furthermore, the company’s data suggests that credential leaks are less likely to result in account takeover due to a decrease in password reuse rates. On the other hand, nearly a quarter of the passwords stolen via phishing attacks were valid, and Google believes phishing victims are 460 times more likely to have their accounts hacked compared to a random user. As for keyloggers, nearly 12 percent of the compromised passwords were valid, and falling victim to such malware increases the chances of account takeovers 38 times. Phishing kits and keyloggers are also more likely to lead to account hijacking due to the fact that many of them also collect additional information that may be requested by the service provider to verify the user’s identity, including IP address, location and phone number. 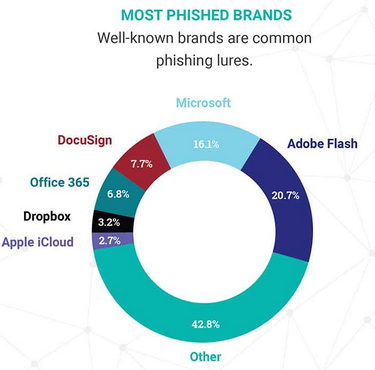 An analysis of the most popular phishing kits revealed that they mainly target Yahoo, Hotmail, Gmail, Workspace Webmail (GoDaddy) and Dropbox users. In the case of keyloggers, the HawkEye malware appears to be the most successful, with more than 400,000 emails containing stolen credentials being sent to attackers. Cyborg Logger and Predator Pain also made a significant number of victims. As for the location of the individuals using these phishing kits and keyloggers, Google’s analysis of the IP addresses used to sign in to the email accounts receiving stolen credentials revealed that the top country is Nigeria in both cases. Security awareness training and simulated phishing firm KnowBe4 has secured $30 million in Series B financing led by Goldman Sachs Growth Equity (GS Growth), with existing investor Elephant participating. It brings the total financing raised by KnowBe4 to $44 million. KnowBe4 was formed in 2010. By 2014 it still lagged behind its big competitors, PhishMe and Wombat. Since then it has grown rapidly. Chief evangelist and strategy officer, Perry Carpenter, claims that it is now the fastest growing vendor in the market. He told SecurityWeek the rapid growth is a combination of three primary factors: being priced for SMBs while being technologically targeted for large enterprises; a growing market readiness to use staff training to counter the emergence of ransomware and business email compromise (BEC) fraud; and the need for staff training to counter the insider threat (to prevent naive actions and help detect malicious actions). KnowBe4 uses a combination of awareness training and simulated phishing on what is now a well-proven and stable platform. “The confidence in our company demonstrated by GS Growth’s investment shows the strength of the new-school security awareness training market, and support for KnowBe4’s approach and dedication to mobilizing an organization’s last line of defense, its employees, to make smarter security decisions and reduce overall company risk,” said Stu Sjouwerman, KnowBe4 Founder and CEO. KnowBe4's training combines simulated phishing attacks, case studies, demonstration videos and tests with real-world scenarios to help employees understand the mechanisms of spam, phishing, spear phishing, malware and social engineering. Earlier this month, the company published its Q3 2017 list of top-clicked phishing email subjects from its enterprise training sessions. The top three are 'official data breach notification', 'UPS delivery', and 'password expiry notification'. “In the wild,” Carpenter told SecurityWeek, “things like coupons for free pizzas are almost always in the top ten because it's self-interest. It's, literally, feeding an appetite. Suspicious activity in your bank feeds fear.” Phishing usually plays on a small number of human characteristics, such as self-interest, curiosity, FUD (fear, uncertainty and doubt) and urgency. The intent is to spark an emotional knee-jerk reaction from the targets -- to get them to click the link automatically and reactively. Malicious actors have injected themselves into ongoing email exchanges in highly targeted spear-phishing attacks aimed at entities across the world, Palo Alto Networks said on Thursday. An ongoing campaign tracked by the security firm since May involves pieces of malware dubbed PoohMilk, Freenki and N1stAgent. The operation has been named FreeMilk by Palo Alto Networks based on strings found in the malware code. The attacks observed by Palo Alto were aimed at a bank in the Middle East, an international sporting company, a trademark and intellectual property services firm in Europe, and individuals with indirect ties to an unnamed country in Northeast Asia. The threat group has leveraged malicious Microsoft Word documents set up to exploit the vulnerability tracked as CVE-2017-0199 in an effort to deliver the first-stage loader PoohMilk and the second-stage downloader Freenki. PoohMilk was spotted delivering the remote administration tool (RAT) N1stAgent. What makes the FreeMilk campaign interesting is the fact that the attackers delivered the malicious documents by injecting themselves into ongoing email exchanges between the main target and another individual. They hacked into that individual’s email account – likely by stealing their credentials – and identified an in-progress email exchange with the main target. The attacker then sent the target an email that appeared relevant to the conversation with a malicious document attached to it. “Unlike phishing or even general spear phishing, this is a highly sophisticated, labor intensive, focused attack,” explained Christopher Budd, Senior Threat Communications Manager at Palo Alto Networks. “Carrying out a successful conversation hijacking spear phishing attack requires knowing someone that the ultimate target is communicating with, compromising that person’s account, identifying an ongoing email conversation with the ultimate target, crafting an email to appear part of that ongoing email conversation and finally sending it. Even then there’s no guarantee of success since the target may somehow recognize the attack or have sufficient prevention controls in place to prevent the attack from succeeding,” Budd added. Another interesting aspect of the FreeMilk attacks is that all the malware is designed to only execute successfully if a specific argument is provided, which makes it difficult for automated analysis systems to investigate the threat. The N1stAgent RAT, which has only been spotted in targeted attacks, was first seen in January 2016 when it was delivered via phishing emails referencing a security patch for the South Korean Hangul word processor developed by Hancom. Palo Alto Networks has not made any statements regarding attribution, but it’s worth noting that attacks involving Hangul vulnerabilities and documents (HWP) have often been linked to North Korea. The security firm did point to an August 2016 attack aimed at North Korean defectors in the United Kingdom. The attack, which delivered the Freenki malware, was linked at the time to the North Korean regime. Researchers also discovered some overlaps in command and control (C&C) infrastructure with a campaign involving the ROKRAT RAT analyzed by Cisco Talos, and an attack analyzed last year by a Singapore-based security firm. However, the connection is not conclusive as the C&C domains were compromised sites and the attacks took place several months apart.